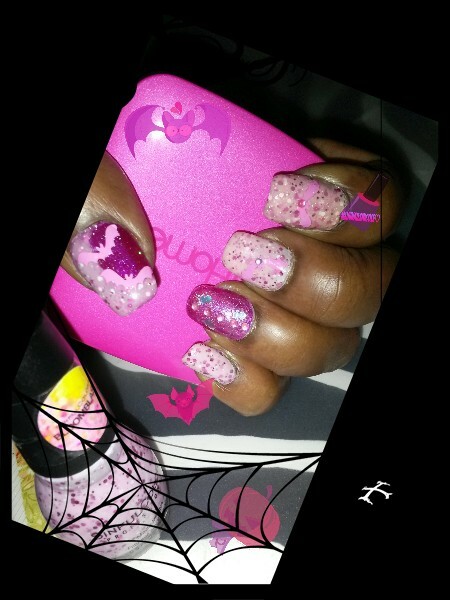 Since today is Halloween I thought I’d share my Pink Halloween Bat Nails&Others i did throughout the month.The all Pink Mani started off for #BreastCancerAwareness and i turned it into my halloween #mani since i had some cute Pink Bats! 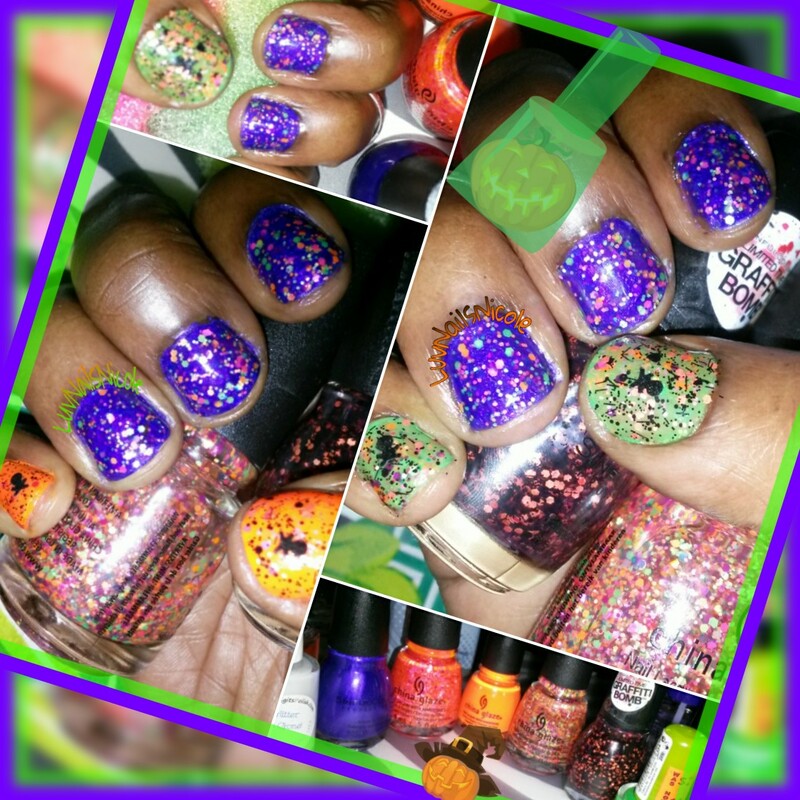 Im not perfect at doing #NailDesigns But I luv doing my own #NailArt and Practicing. 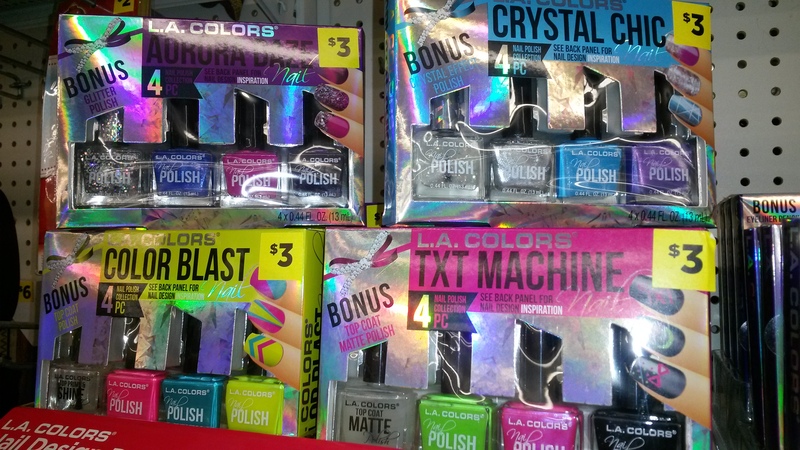 I was so excited to see these when I walked into #DOLLARGENERAL. They have them as Like Xmas Gifts, Stocking Stuffers.They are all really pretty colors.I Luv the New Shape of the Bottles. 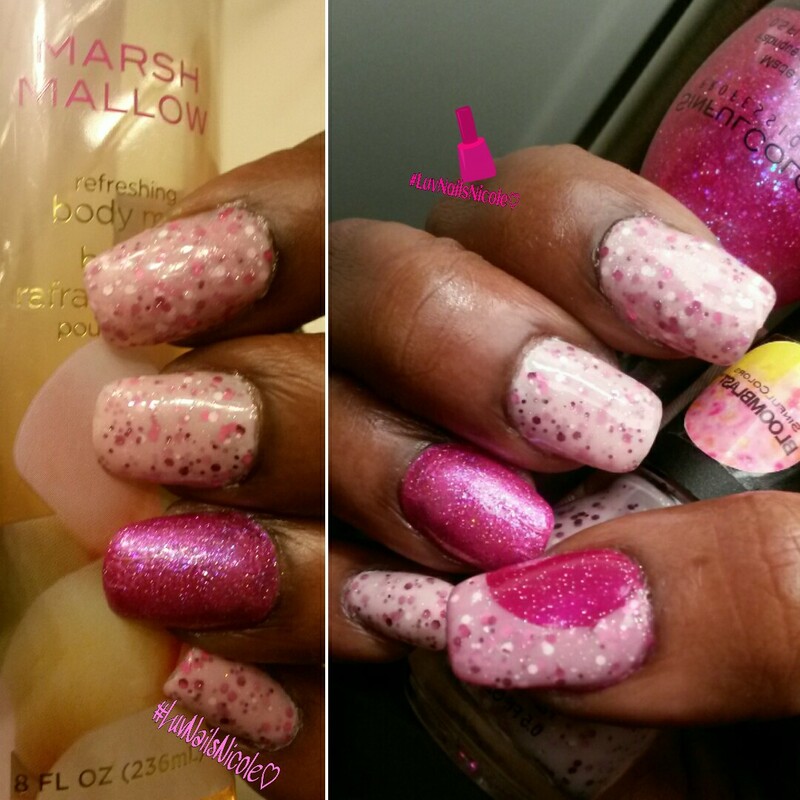 I Call it my #DUPES To #NCLA NailPolish: )They have the same look just more affordable. In this kit I Chose the Polishes are Shimmers.The one with the pretty silver Holo like top kinda reminds me of broken glass. It is a great topper and has great effect to it. 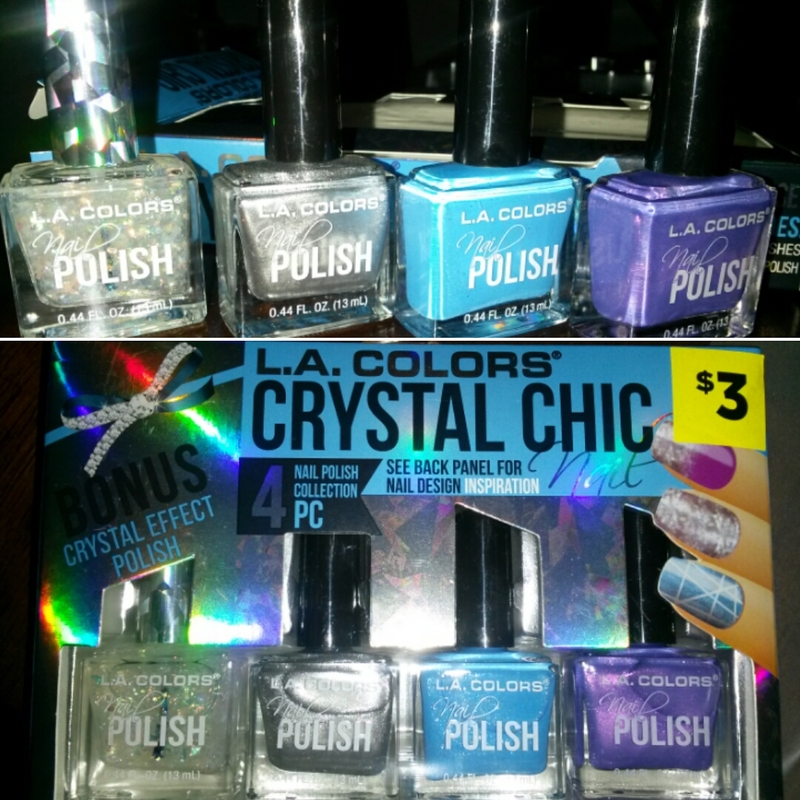 There are 3more Box Kits in the Collection(pics below) I will get swatches up soon as I can of the #CrystalChic.Hopefully i will have the others to swatch&share with you by then.These Are A super good deal to get 4Nailpolishes for $3.00! Its best to hunt them down now(especially if u collect like i do&have to have the latest polish) I’m Sure they won’t be around til X’mas&once they sell out we may not seewem Again! Check your local DG for them. I Came Across This New Collection At #WALGREENS.I was Surprised to see a Halloween Edition So I Had To Grab Them All!They were also on sale Buy1 Get1 50% Off! There Are 6 Colors in the Collection.The Display Only Comes With 2Of Each Color&Also Some Cosmetics. The Colors Are So Pretty(looks better IRL The pics don’t give it Justice:) Wet n Wild Has Really Improved Their Formula. Its More Rich&Shiny.Goes On Smooth&Most In 1Coat.Remember to Always Use A BaseCoat Before Applying Polish&A Topcoat When Finished.I Highly Recommend Seche Vite Quick Dry The Best&Fastest Working quick dry I’ve Tried! 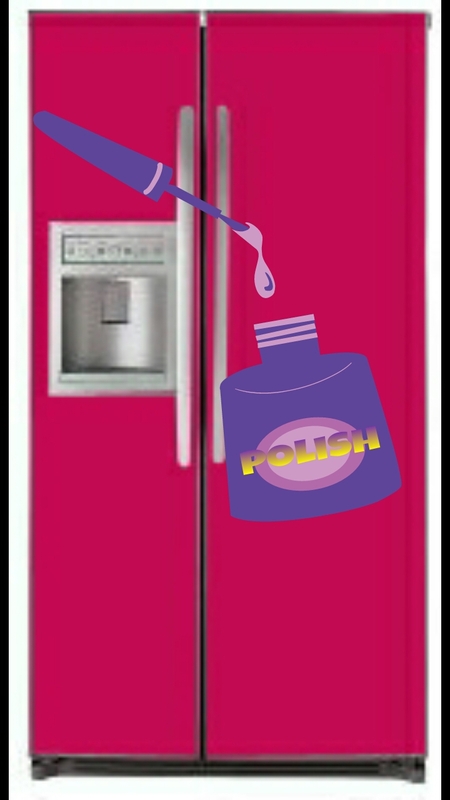 THE COLD AIR HELPS MAKE YOUR POLISH LAST LONGER And IT EVEN APPLIES SMOOTHER.KEEPING IT IN THE FRIDGE IS A NO NO!STORING YOUR POLISH IN A COOL DRY PLACE IS MOST EFFECTIVE. POSSIBLY A HELMER(DEEP DRAWERS)IS THE BEST SPOT FOR THEM.ESPECIALLY IF YOUR A COLLECTER LIKE MYSELF&OWN TONS OF POLISH. STORING THEM IN THE BATHROOM DOES NOT HELP EITHER. THE TEMP IN YOUR BATHROOM CHANGES CONSTANTLY, ESPECIALLY WHEN SHOWERING. 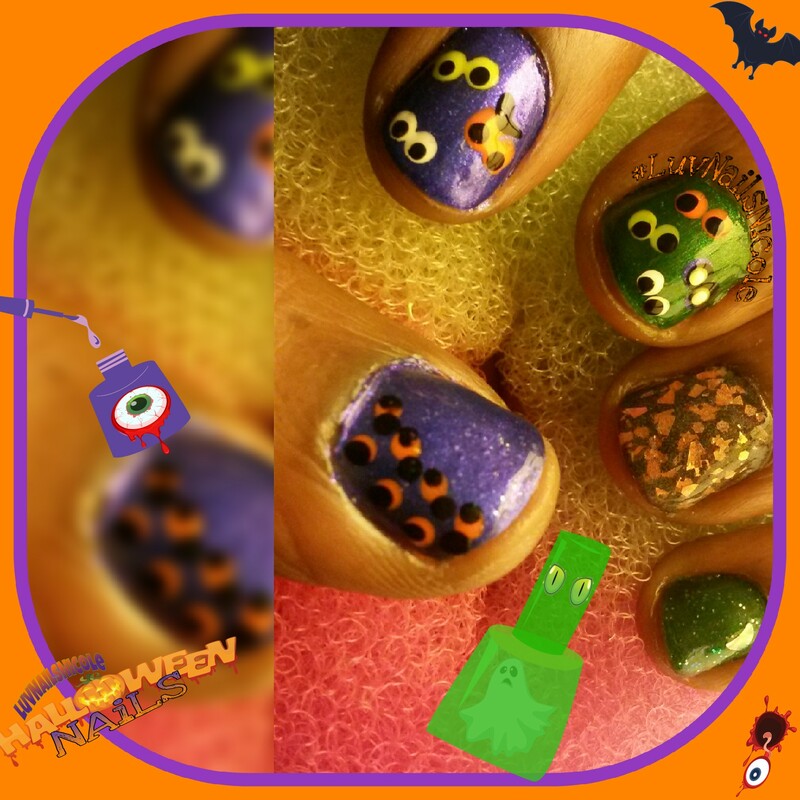 ALSO THE LIGHTING IS MUCH BRIGHTER&CAN CAUSE YOUR POLISH TO TURN GOOEY. MAKE SURE TO ALWAYS KEEP THEM UPRIGHT,NOT ON THEIR SIDES.KEEPING THEM ON THEIR SIDES MAKES IT HARDER TO SHAKE PIGMENTS BACK TOGETHER. TAKE CARE OF YOUR POLISH PROPERLY AND YOU SHOULD GET THE FULL EFFECTIVE SHELF LIFE OF 2YEARS!